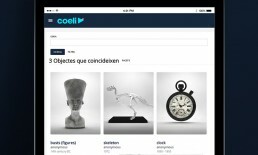 Coeli is a cloud platform to disseminate and document collections. The tool integrates with vocabularies, schemas and technologies from the heritage sector. We are document management consultants who work daily to resolve the difficulties of the museum sector. Coeli was born to respond to these needs. Make your collections visible on the net. Create and maintain your inventory in an agile and intuitive environment.. Document and manage cross processes within the different areas of your institution. Coeli is inspired by the philosophy of Create once, publish everywhere. New technologies and devices constantly appear for making content public, and these present new challenges for institutions dedicated to the preservation, dissemination and value-enhancement of cultural heritage. A sole tool: document, validate and publish instantly on any device, with no need to run other modules or applications. Edit and publish in real time: keep your collection updated in real time in a practical fashion. Edit a record and observe the changes on the web. Publish on the web, app, guide…: everything in one tool, optimize your resources and reuse data on all your publication channels. Standards are essential to an interconnected world. Organizing, describing and displaying information in an understandable way for humans, as opposed to machines, is vital to guarantee the accessibility and reuse of data. Descriptive schema based on standards from the heritage sector. Conceptual model of integration conceived on the basis of the CIDOC-CRM reference model. Vocabularies based on the Art & Architecture Thesaurus (AAT), Geonames and other reference sources, prepared to be used and linked to the original sources. With Poligraf, our tool kit to support normalization, you will be able to link your collections easily with AAT, VIAF, Geonames, Wikipedia, and much more! With Coeli your data is already linked to international reference sources when born. Make your catalogue accessible in multiple languages, add geographic coordinates to your collections and enrich the user experience. 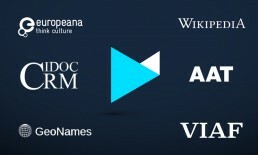 Disseminate your collections easily to Europeana with Linked Data. Improve your web ranking enabling your collection to appear in search results. Express your identity; paint the data with your colours. In your web catalogue: to publish your catalogue with no additional efforts, we offer a default style, modern, minimalist and with all the functionalities. On your corporative site: we offer a series of easy-to-use widgets to display the catalogue within your institutional site. Tell your story: the philosophy of Coeli is to make data available to you so you can show it as you like, wherever you like. 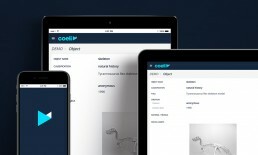 Coeli offers an access point to your collections via API Rest, that will allow you to publish data in real time in any web environment or mobile device. Your web developers will enjoy it. Talk to your team and let the imagination fly! 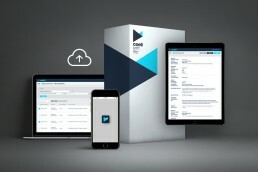 Coeli was born in the cloud, for that reason data is accessible from any moment and any place through an API. You can use it in public environments or to develop internal tools for collection management (apps, mobile, localization systems, …). It also has an OAI-PMH access protocol which allows data to be transferred to Europeana or any other aggregator or digital repository. At any moment you can export your data to easy-to-reuse formats. You can extract analytics and export reports of your data as well. 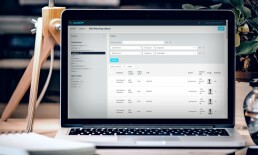 Coeli offers a dynamic and intuitive platform. Usability is one determinant factor to guarantee the success of a tool. Easy: the tool is intended to be used in an intuitive manner, users will learn quickly, with no training effort. Agile: work with no delays or unexpected results, know what is going on at any moment. Attractive: dynamic, structured and harmonious navigation. Visualize just what you are working with; access the rest with just one click. Up-to-date and minimalist design.